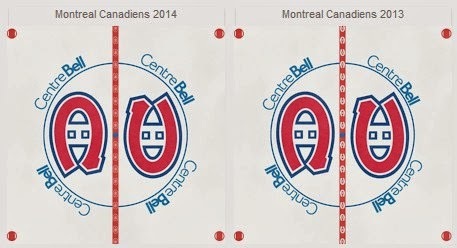 I missed this red line change in my initial attempt at the Canadiens' 2013/14 season center ice graphic. I thought it was the same as last year but in fact, they changed it to a much more subtle primary logo pattern. 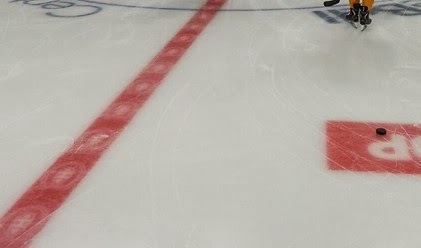 This year the logo is red, just like the red line. We only know it is there thanks to a small white border around the edges. Personally I think they should have went with a solid red line or back to last year's design. I am watching my Blues play there right now and you can barely even tell they have a design on their red line on TV. What do you think? Click here to view 2014 center ice graphic.